Re: Does anyone know what game this is? No, no. I think its a PSX game now b/c it has an anime intro (or a Saturn or DC, its on a console around that time with videos and stuff ). Again, the characters have like Stands (like Jojo). TC: If it's not a different Might and Magic game (or a misremembered game already mentioned here---I'm with the crowd that believes you and your family probably had Eye of the Beholder, but are just mixing up details), maybe it was a Wizardry game? IIRC SNES Wizardry 6 has a number of the features you mentioned. Does anyone know this game? Its a Namco game for the NES (or FDS? ), I think its a party game, your characters are mostly other Namco IP heroines like Valkyrie, Ki, and Momo. A party game for the NES? Not likely. Also I'm not familiar with Jojo, what do you mean by stands? Googling didn't help me much. OP: Are you sure it wasn't an NES game? I know someone got that game translated.. but I'm kind of lazy to search. Jojo stand, they're like Personas in Megaten games. OK, this isn't an old game. It's fairly recent, like last 10-15 years at least. The only thing I can really remember about gameplay is that part of the game involves building a spaceship that's used to fly from one place to another, but this is not the main focus of the game. I don't think, anyway. I know that you have the ability to acquire more pieces to build the ship, and you can basically make it look like whatever you want, within a specific size (which is also upgradable). The shape of the ship doesn't matter at all, but there are certain parts that, when they are included anywhere in the design, improve the ship's offense, defense or maneuverability. It's definitely a console game for a console that I own (or owned) which means it can only be for:PS1, PS2, PS3, N64 or Gamecube (it's definitely not older than that). And it's not a Lego game. Yep, indeed it was in Kingdom Hearts 1 and 2. As much of KH2 as I actually played, I was getting more enjoyment out of the Gummi stages than the real game. Me too, I think, and that's why they stood out so clearly in my head. And why I didn't remember they were part of the same game. Dubstep - The beat from within. Help me find the NES game! 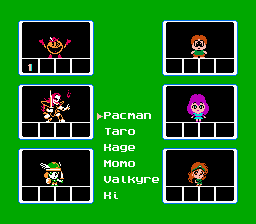 There was a NES game where you were a superhero and a green lady with a green planet in the background talks. The first level; you are in a space ship and you must shoot enemies. You can change bullets from rocks, fire, water, if I remember correctly. The boss from first level is a base that shoots you. You must destry it and land on the pod to finish the level. The second level; you enter in that base and to pass some enemies and obstacles you have to transform in water, air or fire. The level 2 boss is not really a boss, but obstacles, two claws more exactly. And level 3; you are a chopper and you have to stop three trucks by droping rocks in front of them. I really need to find that game! "Better waste a minite of your life than wasting your life in a minute." Not that hard to find them more fun, the Gummi Ship stages in KH2 were so awesome Square-Enix should have made a spin-off game made entirely of those stages. Re: Help me find the NES game! That isn't Captain Planet, is it? It is Captain Planet! Thank you all for help! Well I didn't have an NES growing up; my first game console was the SNES, and this was before I had gotten a Game Boy so it had to have been an SNES game. And no, it definitely wasn't a Game Boy game, before you ask. That does look like an extremely bare-bones NES version of what I remember, and apart from the fact that the walls are purple instead of grey, you could probably convince me that that game was the NES release of the game I remember. I am interested; what is that game? Swords and Serpents, I believe it was. Probably most notable for being a 1, 2 or 4 (but not 3, I think) player RPG. Yeah, that game really does look a lot like the one I remember, more so than any of the other games suggested previously. The thing is, like I said, I didn't have an NES growing up, and I remember playing the game I remember on the SNES. In any case, I wish I never sold the game, because if I still had it all of my questions would be answered. And the cover bits didn't look like they were sloppily applied either. I remember often looking at that baseball game's cart and being very confused as to why the cartridge artwork, title and all that stuff didn't match the game in question. My two of my older cousins from New York (those two in question, unfortunately, are no longer on this Earth) gave me this big bag (it was at least the size of a garbage bag) full of their old SNES games when they found out that I had gotten a Super Nintendo for Christmas when I was a little boy as my first game console (like I said, the latest console when I was very young was actually the Nintendo 64, so I got a SNES very late in its lifespan). I am almost certain that the game I remember came from that bag, so unfortunately I don't know where it was originally gotten from, and since the ones who gave that bag of games to me have passed away, there isn't anyone who I could ask to tell me that information. I suppose I could ask their sister and my aunt, but I would doubt that they have any idea all these years later now. Even though the game scared me as a child, I know that I would have a blast playing it today, so that's why I continue looking for it. It would be right up my alley today. Put them into an inventory. Just continue holding the items with no inventory. But I can't recall if there was an inventory or not. The only reason I can think of is that some people opened up the carts and swapped the PCBs to defraud stores/rental stores (which explains why rental stores started to put the ridiculous "please rewind tape" stickers over carts). The one other instance of heard of, I think was like ebay, someone listed a Mystic Quest inside Roger Clemens Baseball, I think it was. They had a story behind it: claimed it came from some sort of prison game collection and someone swapped the sticker so they could play the game they wanted without others taking it.